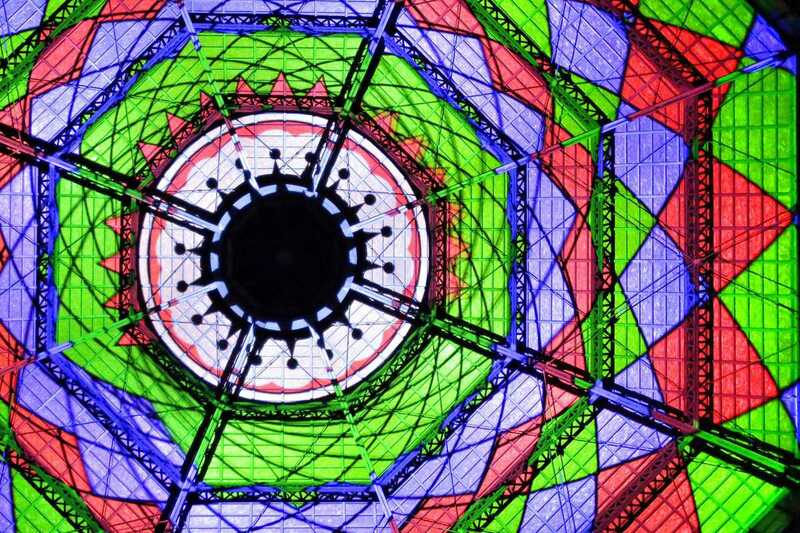 This holidays, the inside of the dome of the Born civic center will become the screen for El Calidoscopi del Born CC, an audiovisual mapping inspired in over a thousand years of Barcelona history. Kaleidoscopic images recreate the 9th neighborhood that once existed around the irrigation canal of Rec Comtal, the medieval market on Passeig del Born during the 13th and 14th centuries, the War of the Spanish Succession and loss of Catalan independence on September 11, 1714 (commemorated as La Diada), the construction in 1876 of the existing Mercat del Born building, which marked the start of Modernisme, and the space as it stands today as a cultural institution. For a preview, check out the El Calidoscopi del Born CC YouTube video. Entry is free, with shows starting at 6pm, 6:15pm, 6:30pm and 6:45pm.